Romance and the Vending Machine and Other Stories is a collection of short stories about choices and the effects they have on our lives. Some tales are lighthearted, some serious, with each providing an opportunity to ponder: what if the choice had been different? The direction and success of our lives often depend on a series of choices. 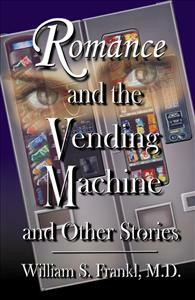 "Romance and the Vending Machine: And Other Stories" is a collection of short-short stories concerned with these choices whose consequences are influenced by the settings in which they occur. There are five settings for the stories in this collectionÐwhen important opportunities are about to be lost; during a dubious relationship; within a troubled marriage; when the hand of fate intervenes; and while awaiting death. Some of the stories are light-hearted, others serious, some choices obvious, others subtle. But all the stories provide an opportunity to ponder: what if the choice had been different. Romance and the Vending Machine and Other Stories by William S. Frankl has received an honorable mention in the 10th Annual Writer's Digest International Self-Published Books Awards.